Rewired is a new fund which is starting out with $100 million to invest in what it says will be “the next generation of robotics”. It’s more a venture capital fund rather than one that will invest in stocks and shares, which means it is and will be directly involved in identifying and nurturing new inventions and helping the people behind them to develop their businesses. Venture partners include some of the most knowledgable and experienced academics and business people in the field of robotics research, development and investment in the world today. One of the partners, and the fund’s de facto spokesperson, is Santiago Tenorio, who gave Robotics and Automation News an exclusive interview. Tenorio, whose background is in human intelligence, or cognitive science, which includes some quantum computing knowledge, provides his perspective on the robotics and artificial intelligence sector, and what Rewired’s aims are. “We’re not a typical investor,” says Tenorio. 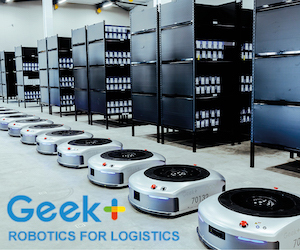 “We announced a $100 million venture studio that’s going to be investing in robotics, specifically the technology that can power the next generation of robots which can move from controlled environments to uncontrolled environments. “We believe that category of technologies that will help address that need is machine perception. “So one difference between us and other investors is that we’re a venture ‘studio’, so we’re a lot more hands-on. We’re not just passive investors, we want to be involved with the companies we invest in, the entrepreneurs that are part of our ecosystem, and support them to commercialise their technologies. “The second distinction is that we are backed by patient, family office capital. So we are not raising our fund every three or four years like a traditional venture capital fund. “We have an initial allocation of $100 million from this family office, and there’s substantially more capital behind if it all goes well and we want to grow that pool of capital in the next several years. While many people are fascinated by robotics and its related field of artificial intelligence, many have also expressed their apprehensions about where such powerful technology will lead humanity. Science fiction films have often depicted robots and artificial intelligence as the enemy of humanity – sometimes seeing humans as an existential threat which must be eliminated. Such dramatic dystopian scenarios aside, there is arguably a need to consider the moral and philosophical dimensions of developing AI and robots that can, and do, have significant power over us. Even if you consider industrial robots in factories, they have considerable potential to cause humans harm, which is why they’re kept in cages away from human workers. But as they leave those cages, become “collaborative” and take many different forms, and increasingly enter the home, it is perhaps the right time to debate how the technology should be regulated. Which is why Rewired has set out with a humanitarian mission to encourage the development of technology that will work harmoniously with humans. But it’s a venture capital fund, so it wants to make money as well. “I think the two things go hand in hand,” says Tenorio. “I think if you hit on the right technologies that have the most potential, those technologies are going to result in commercial opportunities and end up generating returns. “So I think returns will come if you have the right investment thesis and you address the right challenges and needs in the ecosystem. “However, we have our humanitarian view as well, so philosophically, we don’t want to be investing in military robotics, for example, or in defence systems. What can a venture capital fund do for technologists? In the past, it was quite difficult for an inventor to find funding. Even now, as more investors look for inventions to put their money behind, it’s still not easy. But once an invention or innovation does get through to a venture capital company like Rewired, what can it do for them? “I’d like to address that in two fronts,” says Tenorio. “One is a commercial front, and the second is more scientific, robotics-related, technical front. “On the commercial front, the family office has successes in the billions of dollars, so we can help the scientists and inventors to figure out how they can commercialise their intellectual property and also open up doors to potential partners or buyers of those technologies. “In the venture creation area, some of our venture partners – such as Nova Spivack and Andy Hickl – have been involved in venture creation in Silicon Valley in the US for a number of years. “Andy Hickl has taken on AI roles at major corporations. So we definitely have technical forte in these areas. “Gleb Chuvpilo, a venture partner that I’m honoured to work with, was himself a roboticist at the MIT PhD programme, working on underwater robots, and after that worked with Peter Thiel, the Silicon Valley investor in a macro hedge fund, so he has a perspective on the capital markets and how it all fits together, and more recently, he’s been an active AI investor. “And besides the venture partners that are more hands-on, we also have a panel of advisors that have a very strong background in robotics. “For example, Eduardo Ferrer is part of the MIT Media Lab, where is running programmes focused on collaborative robotics and distributive robotics. “Mirko Kovak is a director of the Aerial Robotics Lab at the Imperial College, London. He’s also one of our advisers. “Raul Bravo is a serial entrepreneur in robotics and the founder of Balyo, one of the pioneers in warehouse robotics. “And Thomas Estier, a Swiss serial entrepreneur in robotics, founder of Bluebotics, and has experience working with the European Space Agency on robotics. Many of the people Tenorio mentions have been outspoken on the issue of robotics and artificial intelligence in the military, and have called for more discussion and debate on the whole topic of technology that can potentially harm humans. They have signed an open letter calling for a worldwide ban on killer robots, although it’s unlikely their demands will be heeded by the defence establishment which already uses drones and other autonomous technologies on the battlefields. Rewired has analysed the commercial robotics sector and found that, while it is has grown tremendously over recent years, there are some limiting factors, one of the crucial ones being machine perception. If an intelligent machine, such as a mobile robot or car, has good enough perception, it could move around its environment in a way that is safer for humans and perform its tasks more effectively. This is why Rewired is concentrating on machine perception technologies such as light detection and radar systems, often abbreviated to lidar, which has growing applications in the automotive sector, where many new companies are installing them into new cars to help with the autonomous functions. But that’s just one sector for what might be called components of robotic technologies. “The robotics market today is actually quite large,” observes Tenorio. “I think it was Boston Consulting Group who estimated initially that it was around $70 billion in 2014, and that estimate was then revised this year to close to $90 billion. “My view is that, typically, most consulting firms estimate market sizes based on the growth rate of established verticals within that sector. So, in other words, health robotics, factory robotics, warehouse robotics, and some other categories – military robotics – and how those individual verticals are growing. “As robots come up into the real world, into uncontrolled environments – which is why we’re investing in machine perception – there will be other categories emerging that we haven’t even thought of, and I think the growth will be explosive over the next 10 to 20 years. The specific area of machine perception which Rework currently has businesses in is seeing a lot of technological developments. Tenorio explains in simple terms how machine perception differs from how one might think of human vision. “An interesting metaphor to imagine is – don’t try to imagine a machine perceiving the world just yet, or how a human perceives the world. “Try to imagine other beings that have evolved over thousands or millions of years, and how they interact with the environment, and how they navigate their environment. “So, imagine a bat for example. A bat uses ultrasound – they use echo location to map their environment and to interact with it. “There are sensors being developed today that are leveraging ultrasound to map environments and to enable robots and machines to interact with those environments in a much cheaper way than the computing power required to analyse an image. “That means these sensors can make their way into other machines that are smaller than a car, and budgets and purchase prices for those machines might not be that high. “There are other categories of sensors that we haven’t even invented yet, that some people are working on in labs, such as olfaction-related sensors – sensors that can detect chemicals in the air, just like our noses do. “Imagine having a bomb detector device that is essentially a hound dog’s nose in a box. “Imagine being able to use people’s scents as a way of being able to identify them. The word “robot” probably conjures up images in the mind of industrial robotic arms or humanoids. But there are many other fields of robotics which are emerging and it’s becoming more difficult to define what a robot is. But semantics can wait until the robots are fully operational – many of them are still in the early stages of research and development. “One area I’m very interested in is, for example, is nano robotics,” says Tenorio. “Imagine what’s happening in the field of nano technologies, and then couple that with what’s happening in robotics. “I could imagine nano-scale robots being used to treat diseases. That’s something that’s been thought of, but I haven’t seen any companies or teams specifically working on that, but that is an area that in the next 10 or 20 years I could imagine seeing interesting developments in. “Larger scale robots… I’m sure we will have robots building houses. 3D printing materials to construct houses and structures. “In fact, if we ever wanted to colonise Mars, a more effective way to do that would be to send robots there – send robots to harvest the materials from Mars itself, so mining robots, and then use a different type of robot to construct the infrastructure we need to make Mars habitable for humans in the future. And what about the humanoid? Most popular science fiction films – and most widely viewed short videos on Twitter and other social media – about robots tend to feature humanoids, as they are probably the most fascinating, or perhaps unsettling, of the robot forms. If you’re one of those who find it unsettling, maybe you won’t have to worry about seeing too much of them because a lot of people share your perspective, and besides, humanoids are actually quite difficult to build. What’s more likely, says Tenorio, is that future robots will take many different forms. “I think one of the challenges that these teams are trying to address is acceptability. So if they’re developing a consumer product that they ultimately want to sell to households, people need to be comfortable interacting with a robot, so they make it appear like an animal or a humanoid kind of robot. “Subconsciously we’ll be more receptive to that, perhaps. “But, in terms of the practicality of the invention, I don’t think it necessarily has to be a humanoid robot. There are some challenges with that, which have to do with safety, specifically around the weight and torque of some of these robotic arms – they could be quite harmful for humans. “So there’s challenges there around enabling these robots to interact with a highly unpredictable environment, outside of a factory or a lab, where a human in involved, and humans, by definition, are unpredictable things. “Imagine the task of washing your dishes next to a cook. A robot working that closely next to a human with quite heavy robotic arms could be quite dangerous unless it knew how to interact with those humans. The development of robotics has accelerated so much that many people working in the field seem almost breathless with excitement sometimes. From a journalist’s point of view, it makes covering the sector exciting and rewarding, but there’s always the nagging feeling that we’re not covering the right subjects, or from the best angles. “Robotics and artificial intelligence development is moving at an exponential rate, it’s hard to keep up, and it will only accelerate,” says Tenorio. “Now, it’s easier than ever to work on a robotics startup because people have access to dry labs, to equipment; large corporates are more willing to partner and share their resources with innovators who are outside of their group; a lot of capital is flowing into AI and increasingly robotics as well. “All of these things coming together – and with the availability of microchip components and data processing systems that the smartphone revolution made possible at a cheap cost – enables entrepreneurs to invent and come up with novel ideas in the robotics space. The pace at which technology advances generally catches governments and regulators slightly unawares. But even if they keep their eye on the sector, it’s only when a technology leaves the lab and goes out into the real world that they need to pay more attention. Currently, the US government is debating the whole issue of autonomous cars, so they do seem to be analysing the technology more closely. “Yes, I do think regulators will start paying more and more attention,” says Tenorio. “The question of AI and the societal implications that that will bring is an important one, and our view is that we need to be a part of the conversation. The robotics market, and technology in general, has been growing inexorably for decades, and only looks to be accelerating. Until now, it’s been mostly led by computer technology companies, where it has most been software that has delivered recent growth. Initially it was the hardware – the computers and then the smartphones – which provided growth, but thereafter, it’s been all about the software. But with robotics generally meaning a machine that moves, another phase of hardware innovation is likely to happen in the next decade. And then the software will take over again. Either way – software or hardware – the growth is almost guaranteed. “If you look at data on the composition of the S&P 500 over the past couple of decades, you can see a clear drift towards technology companies,” says Tenorio. “I saw a study recently on the strongest brands in the world 15 years ago, 10 years ago, five years ago, and today. “The top brands today are all tech companies, and you could see a clear progression towards tech companies. So I’m not surprised at all. “And I think AI will permeate more and more sectors in technology as well. “Today, we think of AI as a distinct category. But I think in the future, AI will be just like what mobile was 10 years ago. But while Tenorio has been analysing the market and making a variety of observations, he declines to provide forecasts of the growth of Rework’s investments. “I think it’s a bit premature to talk about returns,” he says. “We don’t have different opinions we need to respond to, so our capital is stable. We have social impact aspirations as well. “From an investment point of view, I could see this fund performing really well for sure, given the macro thesis in the sector, and also because we’ll be spending a lot of time and resources into enabling these entrepreneurs and scientists to turn their visions into reality. It’s a question everyone asks at some point: what will be the next big thing? We have computers, we have smartphones… what next? “That’s why it’s so exciting to be a venture capitalist,” says Tenorio. “You get to dream all day and back entrepreneurs that have incredible vision. “Of course in your field as well, in journalism, you get to interact with the frontiers of this space, which is a very forward-thinking area. “I’m very excited about wearables that can enable humans to take control of their bodies and keep tabs on their health states. “So, wearable devices that can detect signs of cancer for example. Cancer treatment today relies on the detection of symptoms and then follows the treatment. “But by the time you find out that you have cancer, usually it’s a little too late, unfortunately. “I’m sure eventually we’ll come up with a device that – through your sweat, or small pinch on your finger, or even from your breath – can detect whether you have an illness such as cancer. “So I think the category of health wearables is very interesting and we’ll see a lot of developments there. “On the topic of vision, because that’s an area that the family office behind us is quite active in, some of the sensor technology that we’re investing in as a group can enable new wearables to help blind subjects move around the world more independently. “So, imagine a headband with ultrasound sensors that vibrate whenever you approach a wall, or another person, or whenever you move through an environment. I can very much see that coming to the market. “Wearables in general is an area that we’ve only touched the surface on. I know it’s easy to say that there are already so many devices on the shelves, but we typically say that about any new category, but I do think there are many inventors out there who are working on novel ideas that we haven’t even thought of. 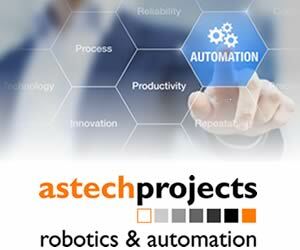 “Another category I find very interesting that one of our advisers is working on is the intersection of … robotics [and] machine-to-machine communications and machine-to-machine co-ordination in industrial robotics. And that also applies to IoT devices. “As robots move through a physical environment, they’ll have to interact with IoT devices in that environment, and transact, using a kind of infrastructure probably, as well as leverage data residing in various devices in its vicinity to inform itself of what actions to take next. Cars were one of those inventions that people were probably imagining would be the next big thing even before they started buying them in significant numbers 100 years ago. Now, cars are again the next big thing because what seems to be happening is that they are being completely refitted, refurbished with entirely new electronics systems, possibly even a new electric engine to replace the petrol-driven combustion engine. Certainly the market for lidar systems in cars is huge already, and has potential opportunities for Rewired’s investments and ideas. “Absolutely,” says Tenorio. “I think autonomous vehicles are going to transform society in many ways, and of course there’s a lot of big players already investing in that area, both established car manufacturers and new entrants like Tesla, services companies like Uber – they’re all investing in autonomous vehicle navigation. “Some of the sensors required to enable cars to move autonomously are areas that we are definitely interested in, but I don’t think the applications are limited to cars. I think it goes beyond cars. “But some of the investment going into that space will help fuel the growth of that sector. “We’re talking to a number of lidar companies, for example. Lidar is a type of sensor that many teams which are researching autonomous vehicles today are leveraging for that task. “But there are other approaches as well, such as computer vision, using 2D images, or some level of 3D data as well, but heavily relying on computer vision to navigate. “So there are different camps that are following slightly different approaches to crack the same problem. “I don’t there’s necessarily going to be a winning approach, but it will help expand the pool of tools and sensors that will then open up many more categories of machine innovation, which we are very excited about. While it is essentially a venture capital fund, Tenorio reiterates Rewired’s humanitarian aspect. With so many roboticists and technologists as venture partners, that is not surprising – they, more than anyone else perhaps, would understand the potential power this technology has. But while all they can do about that at this stage is make people and politicians aware of the potential dangers, in the meantime, the peaceful, productive ways in which technology can be used is likely to offer plenty of financial gains. “I think that human and worker augmentation is an area we are very interested in,” says Tenorio. “For instance, exoskeletons, and the different wearables I mentioned that could empower blind people or people with disabilities. “But there are many categories of innovation that touches on machine perception that will ultimately empower workers to be more productive in an environment where that they will have to collaborate with machines.